Why is it necessary to Redesign your Mobile App by following the Top UI Trends in 2019? When we talk about a mobile app, the first things we consider are development, coding, features and functionalities but the thing noticed by the users is the design. Designing a mobile app is not an easy task. It is the key factors that can attract users in using your app. If your mobile app has a bad design or an unattractive design, then there are more chances that the user will not prefer to use your app anymore. The App logo indicates everything. The logo should be in a way that it should describe the app and its usage and more efforts should be given while designing a logo as it provides the first impression to the users when search or sees your app in the play store or apple store. 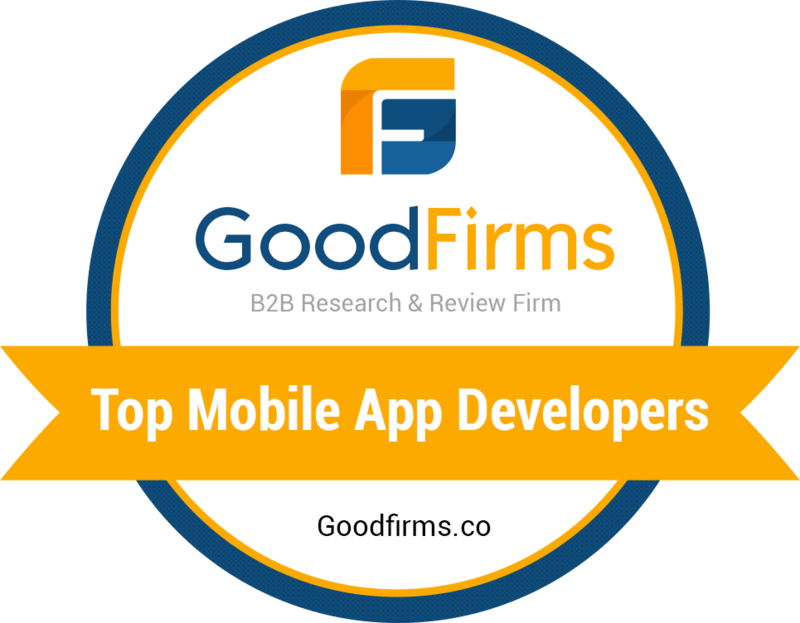 Being beautiful will help your app to stand out of the race of thousands of competitors. User Interface is all about how you are presenting your application to your audience. No matter how amazing your app functionalities or features are, if your UI is not up to the mark, then there is no chance your app stands in the top. User Interface includes various factors like colour, brightness, Lable icons, alignment etc. Users generally see the brightest colours first and then go to the other shades. Gradients are the new colours and to combine the geographical gradients with engaging graphics is a trend to give your app a new look. These colour gradients are useful User interface tool to fascinate the users, and they use these tricks while announcing the offer. Adding animation makes your app more appealing. An app can do well even without animations but definitely, an app with animation has additional advantages. Animations make the application more interactive my improving the user experience. There are different types of animations like Orientation space animation which is used to simplify navigation and function type animation that changes the element whenever a user interacts with it. The designer will not get any individuality and uniqueness in the stock illustration. Custom Illustration popularity is increasing day by day, and it has different types like the paper cut style, hand drawing style, painting style, etc. Its all depends on the kind of mobile app development company you choose. Overlapping is an existing trend in UI designs. The overlapping of the contents like font, graphics, logos, etc. is making the users feel more attracted to the applications. Overlapping also helps in making the limited space available to add, more images or contents on the screen. Designers can create shadows to allow the focus on some crucial elements. Many apps in the market do not reach up to the mark in spite of having advanced functionalities and adding new features to the app, because of ignoring readability. In some informative apps where the user can only get the information about the product and services, Content plays a major role. GIn general also content has great importance, and in case you want your user to focus more on the material the information the provided should be readable. You can be used various colour on the text and different font in a way that it attracts the user’s attention while browsing through your app as the performance of the app also depends on the content readability. Why is app redesigning important? If you want your mobile app to last longer, then it is not possible without redesigning. Here are some of the reasons why you need to go for redesigning of your mobile app. While rebranding it is necessary to makeover your mobile app to get new recognition. The main thing designers should keep in mind while redesigning the app to keep it simple without confusing the users with intricate designs. Know that the users prefer the apps that provide personalization. Make the call to action more attractive, and you integrate social media while designing. It is always essential to know the competitor’s strategies. If you do not go for redesigning, then your app might look old, and competitors will not prefer to use your mobile app.if your competitors are offering fresh designed it is vital for you to do that to sustain in the competitive world. Unfortunately, poor ratings and reviews can subsequently get you a bad reputation in the market. Offering a new app can save you from such situations and redesigning can be the best option. These are some points to consider before redesigning app,In case you want to make your mobile app the best and profitable it is a must to redesign it time to time, With the increasing competition, it is hard for any application to stay long in the market if it is not updated according to the user’s changing interests and demands. Krify is one of the leading web and mobile app development company in the UK and India. Our team has huge experience in developing trending mobile apps and is renowed as to app designing company. we are expertize in android app development and iOS app development and also have a special team for designing applications which is trained and updated about the latest trends in the market. If you are looking for Mobile app redesigning company, Krify is the best option. To know more information reach us here.